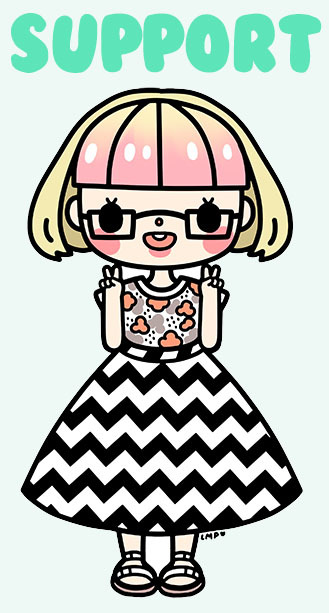 I can’t stress enough how much I am loving the current 90s shōjo revival! 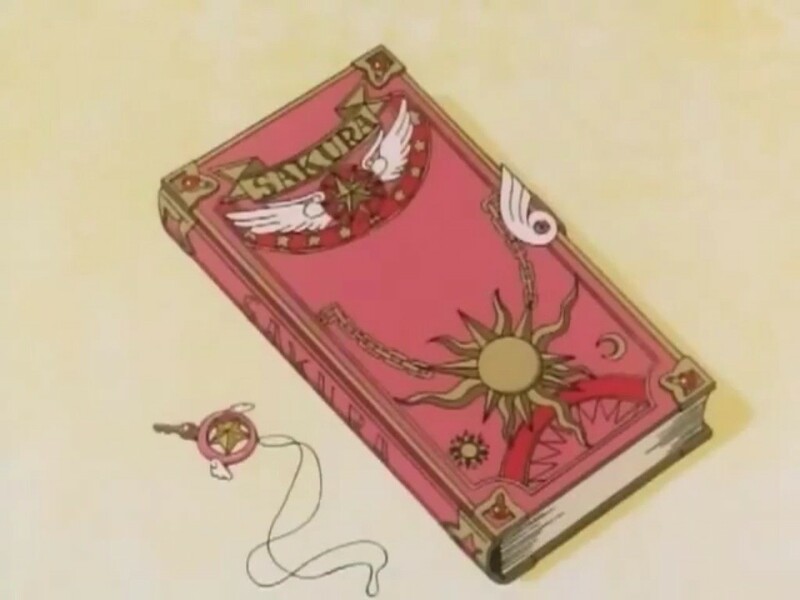 Of course there’s the always-popular Sailor Moon, but over the past year or two, we’ve also been seeing classics such as Magic Knight Rayearth, Revolutionary Girl Utena, and Cardcaptor Sakura receive a slew of all new merchandise and fun promotional items. 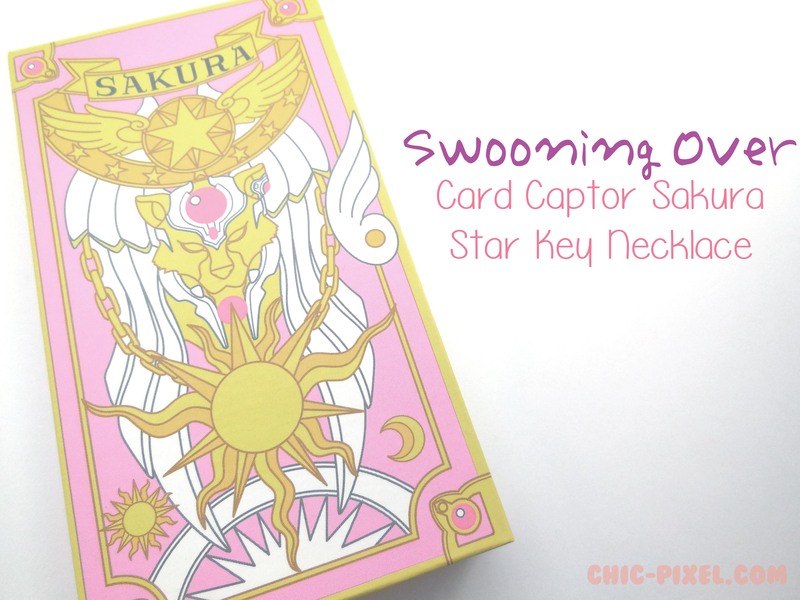 And when a new line of affordable Cardcaptor Sakura necklaces popped up for preorder on Ami Ami, I immediately jumped on the opportunity. 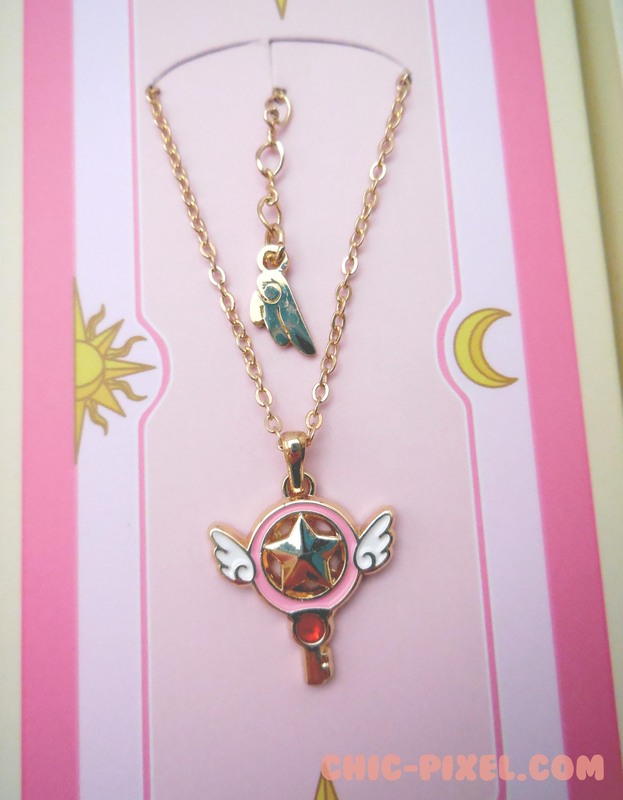 If it were up to me, I’d probably own necklaces of every magical girl trinket I could get my hands on! 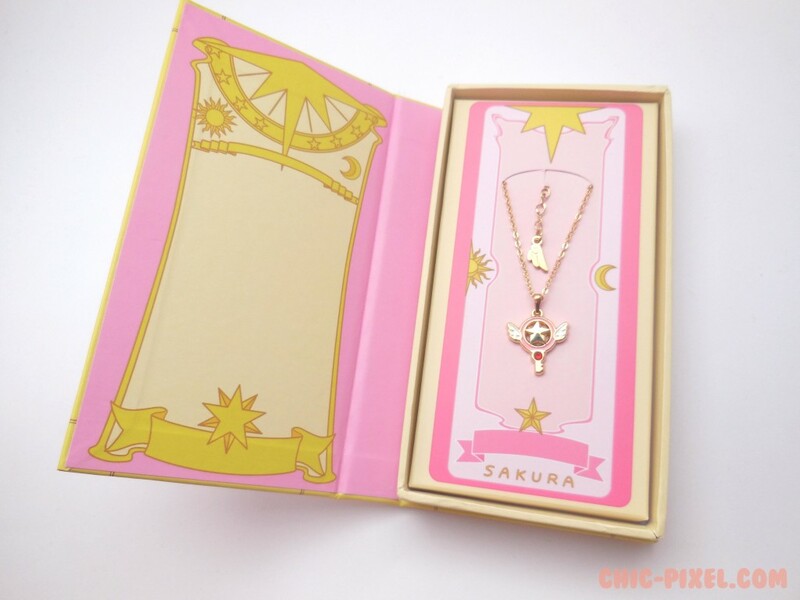 I know you’re probably wondering where the darn necklace is at this point, but seriously, isn’t the box just amazing? 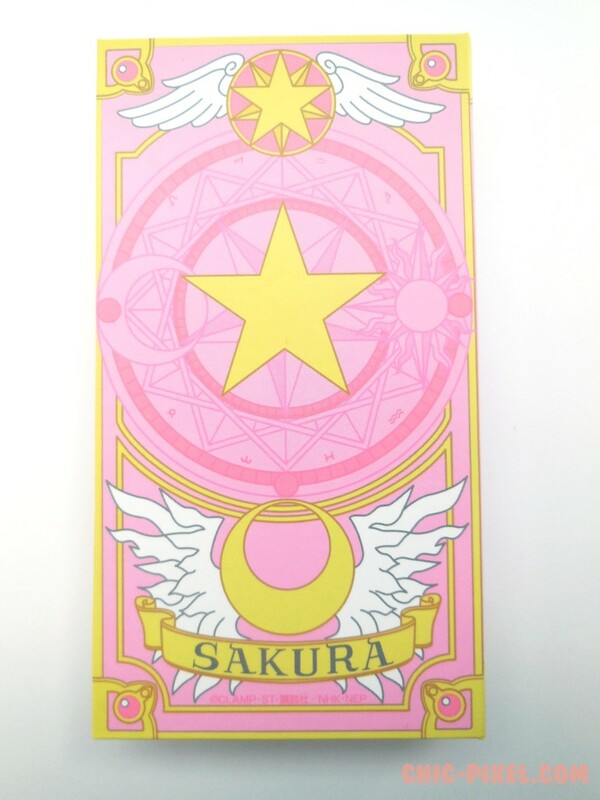 It’s all cardboard, but I had no idea it would have such a lovely design modeled after the Sakura Book from the series. Isn’t it gorgeous!? 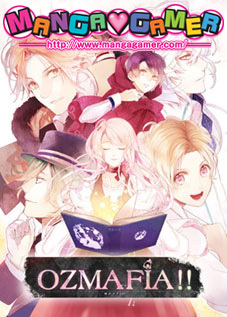 When I preordered it from Ami Ami, it was ¥2,260, or just a little over $18. Now, it’s a tad more expensive, but still available for purchase! I’m honestly amazed at the amount of detail that went into the packaging… I suppose I shouldn’t expect anything less from Japan! Here’s a close-up so you can see all the details. I’m extremely happy with the design, and love the added wing on the clasp at the end! I think it looks much nicer in person than it does in Ami Ami’s product photos. Finally, here’s what it looks like on – such a delicate size! 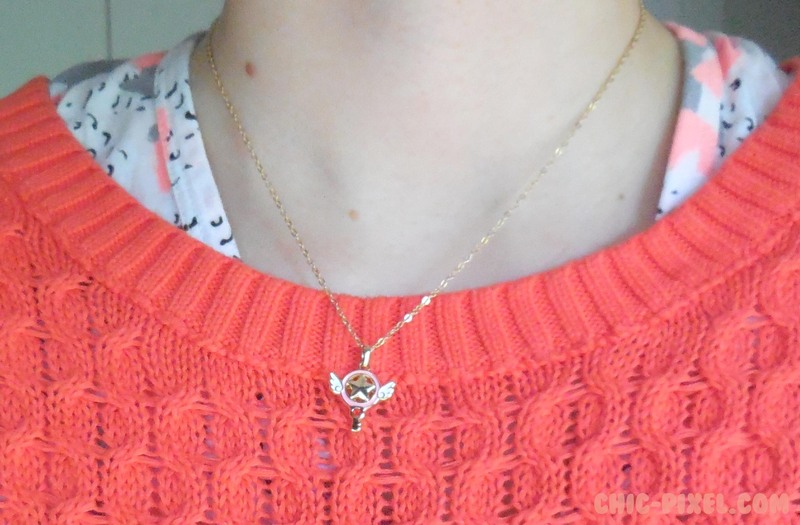 I really like that it’s small, as it can be worn with a variety of outfits without being too overwhelming. It also doesn’t really scream “look at me, I’m a massive nerd!” which I do enough of in various other ways, so I’m happy to have a necklace that doesn’t immediately send passers-by in the other direction. What do you think? Is a necklace like this up your alley? Ami Ami also has the Sealing Key version available! Tenso Forwarding Service: Yay or Nay?